Tullamore Dew Heritage centre tells the story of two of the most venerable ‘Nectars of the Gods’ here in Ireland, Tullamore Dew Whiskey and Irish Mist Liqueur. Their names alone conjure up images of the dew being collected as it rises from the misty peat bogs and rivers of Ireland, to be used as the main ingredient in a long and lovingly nurtured process, following an ancient recipe, handed down from the chieftains of Ireland ... well, not quite....but its a good story nevertheless and almost true? Tullamore is the name of the town in the midlands, where Michael Molloy built the distillery in 1829. He passed it on to his nephew, Bernard Daly whose play boy son, handed it over to Daniel E Williams to manage, in 1887. Young Daniel had joined the distillery at the age of 14, to learn the trade and was to leave an indelible mark on the brand as we will soon see? 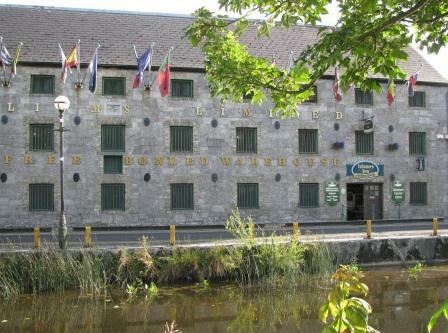 He modernised and expanded to include the bonded warehouse and bottling plant, eventually adding his own initials to the name which is still known as today, Tullamore D.E.W. And this is where the story really gets good, a dashing young officer in the Huzzar Army, claiming to be a descendent of the Wild Geese who left Ireland to fight in European armies in 1607, brought back the original recipe for ‘heather wine’ which could be traced all the way back to the chieftains of Ireland. 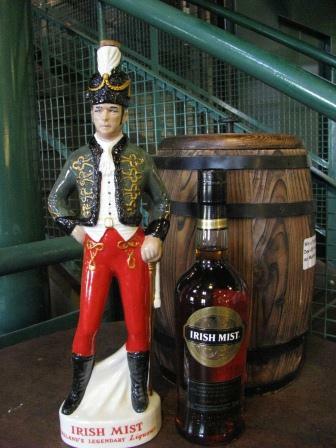 The secret recipe was adapted and added to with whiskey and honey to produce Irish Mist. Enjoy a tipple of either Tullamore Dew or Irish Mist as part of your visit to this excellent visitor centre. If there was an award for knowledgeable and friendly? these people would get it!